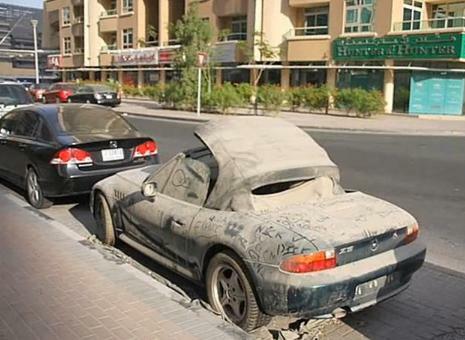 Home Auto Zone Dubai cars are usually abandoned cars! It seems that for some people from Dubai, to abandon cars isn’t something new and you can see that from the next youtube video! The richer they get, the more they forget about their care of cars and all those beautiful and expensive cars: supercars, muscle cars, sports cars, executive cars and others, end up forgotten in a parking lot, backyard or barn. I really don’t know what’s going on inside the car owner’s head to just abandon his car like that, it’s sad because some people just dream of cars like in this video; They will never afford to buy those iconic cars so that’s why, these abandoned cars should be given as gifts to those who are true car enthusiasts. With such acquisition costs for the Dubai cars, you would think that their owners would show their care for them but car care is not in their vocabulary, these guys from Dubai are just rich folks who struck gold with oil and now they just treat everything like dirt and some of them abandoned their cars because traffic fines are quite steep and being in debt is a crime so they flew away in other countries. I would’ve sold my car if it happened to me. A true car enthusiast treats his cars with respect, those abandoned cars from Dubai should get the proper care which they deserve! Yes, i do agree with the statement that you have to drive your car and not let your car drive you! There are guys out there who show an over-exaggerated car care with the daily car wax or the daily chrome elements polish but dude, don’t just abandon your car like those Dubai cars.. Previous article2013 Audi S8 tested to its limits! 0 to 60 mph video, quarter mile and awesome car specs! Next articleFancy a funny car fail video? Acura Integra ripping of its bumper!